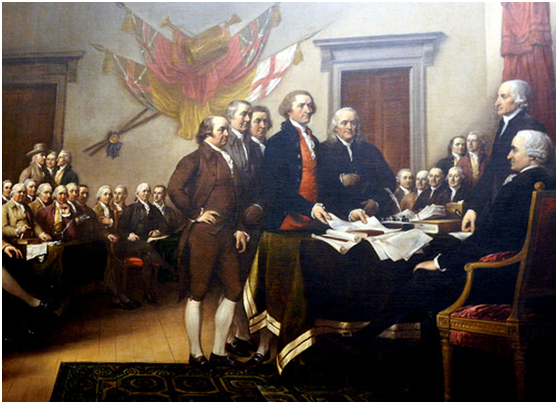 Home ⁄ Cannabinoids ⁄ How Would America’s Founding Fathers react on Current Cannabis Policy? Cannabis Policy- America’s Founding Fathers Reaction on it. Life, liberty, and the pursuit of happiness cannot fully coexist with the likes of prohibition. Anyone who has studied history or is aware of history may know how America was founded. A group of colonists were fed up with England and decided to break from the country and start a new one. After Fighting and Winning the revolutionary war the document that would govern the country into the future was created and that was document was the American Constitution. In the newly formed constitution Cannabis was completely legal, and was found growing almost everywhere all over the country. It is not possible for us to go back in time and ask every Founding Father about their view on Cannabis. But reading some instances from history we can get an insight about their thinking and the way they treated Cannabis, and by analyzing the purpose behind some of the provisions included in the Constitution. Natural Hemp used to be a big part of America’s economy because of which a number of Founding Fathers grew hemp for industrial purposes. Hemp seeds were grown for making rope and other herbal products during the time of revolutionary war and thus contributed in big part of America’s economy. Even now we can search about the facts and quotes related to Cannabis by our America’s Founding Fathers but most of them are fake. No definitive proof exists, but some of George Washington’s diary entries indicated that he had a strong desire to harvest cannabis that was blossoming and sought to separate ‘male from female hemp plants.’ Both diary entries are consistent with cultivating practices associated with adult-use Cannabis consumption. America was founded – to move away from England which had a powerful central government that held all the power. America’s Founding Fathers wanted to do everything possible to limit the abilities of the federal government. That’s why various types of governmental structures were explored, to give a tremendous amount of power to the states, with little power given to the federal government. The Founding Fathers of America’s Constitution then came up with an idea of a federalism model, where power is shared by the national and state governments. It can be seen clearly in the 10th Amendment, that Constitution only provides certain powers to be the federal government, and the rest are specifically reserved to the state governments. The first ten amendments substantiate the theory that America’s Founding Fathers were against the idea of an imperious federal government.